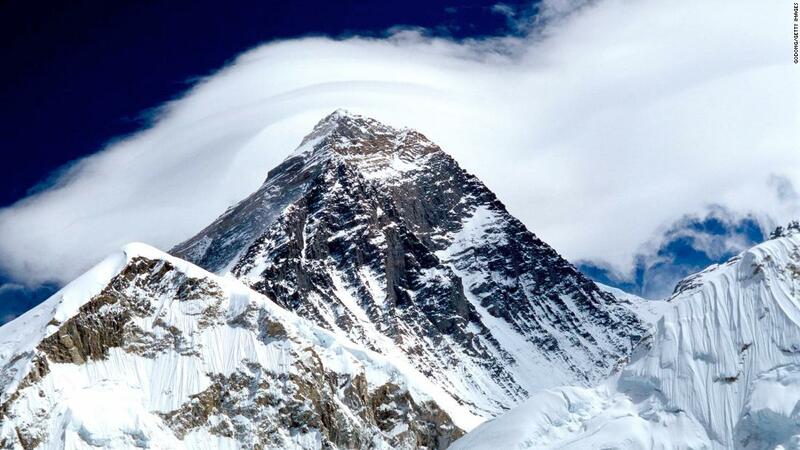 More than 200 mountaineers have died at the top since 1922, when the first climbs' deaths on Everest were recorded. Most organs are thought to have been buried under glaciers or snow. "Due to climate change and global warming, snow and glaciers rapidly and dead bodies are increasingly exposed and discovered by climbers," Ang Tshering Sherpa, former president of the Nepal Mountaineering Association, told CNN. "Since 2008, my own company has brought down seven dead bodies of some mountaineers, some returning to a British expedition in the 1970s." 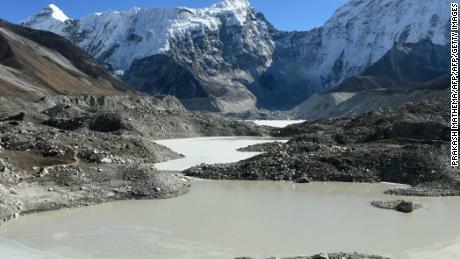 Studies suggest that glaciers in the Everest region melt and thinner. Sobit Kunwar, an official of the Nepal National Mountain Guides Association, told CNN: "It is a very serious problem because it is becoming increasingly common and affecting our operations. "We are really concerned about this becau see it getting worse," he added. "We are trying to disseminate information about it, so there can be a coordinated way of dealing. " The association's cashier, Tenzeeng Sherpa, said that climate change is rapidly affecting Nepal and says that glaciers sometimes melt by one meter each year.
" Most of the dead bodies we bring to the cities, but those we cannot bring down, we respect by saying prayers to them and covering them with rock or snow. " He regretted the lack of the authorities action in connection with the dead bodies on the mountain. "We haven't seen the government take any responsibility," he said. Restoring and removing bodies from the higher camps can be both dangerous and expensive. Ang Tshering Sherpa, one of the first students to study at a mountaineering school built by New Zealand climber Edmund Hillary and a pioneer in Everest tourism, said one of the most dangerous recoveries was 8,700 meters , near the top. "The body weighed 150 kg [23.6 stone] and it had to be recovered from a difficult place at that height. It was a wonderful job," he said. He added that it takes a long time to get government funding to remove organs. "But we the operators feel that it is our duty, and so when we find them, we bring the body down."